So as Noah has both his birthday and Christmas coming up in the next 7 weeks, this is a really appropriate post as I have spent months trying to absorb as much information from fellow bloggers on what on earth to get him. Some of it is easy, as I know my son and what he enjoys, but I also want to get him toys that are going to stretch his development too. Shopping for presents is such an ordinary moment, but now it's for my son, makes it extraordinary and I absolutely love nothing more. So, here are some of the presents that will be wrapped ready for Noah next month, which may help if you're struggling for ideas. The first present was easy, Noah is absolutely and completely bus mad. He is constantly on the hunt for them on our car journeys and makes me chase them 'Mamma get the bus'. 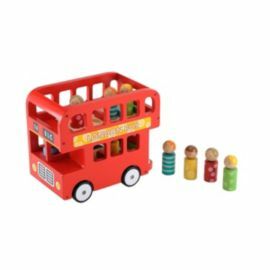 He's got no end of little hand held buses but I just had to get him this lovely wooden one from Mothercare with it's own passengers. 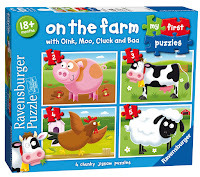 Noah is really interested in puzzles at the moment, he already had the Orchard Toys 2 piece puzzles. So we felt it was time for some a little more complex, he's pretty darn good at them so should even find the 3 and 4 piece ones easier with a few go's. 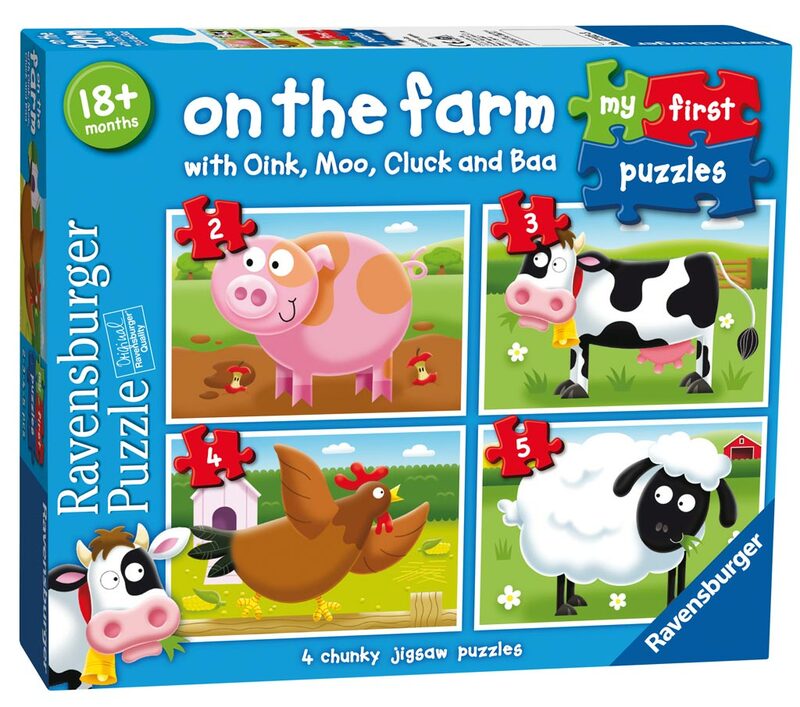 He loves farm animals too, so these were perfect. As Noah is approaching 2, and attends Nursey, he's really into his role play. When I pick him up I'll often find him in the 'bakery' or 'doctors' and he absolutely loves it. He likes role reversal and will often tell us 'Mama cry, Daddy cry' and give us his blankets when we go along with it. 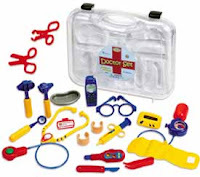 I think he'll enjoy the doctors kit and it'll involve us in his play again as he does like to play more independently now he's that bit older. 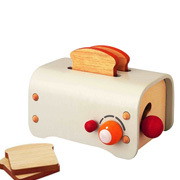 Another toy for building on Noahs' role play and imagination is this adorable wooden toaster, it will look cute on his little kitchen he has and along with a couple of crates of wooden food. He'll really enjoy it, toast was one of his first words so I feel it's a little homage to him. I think it was only around £6 too off Amazon so a complete bargain! Noah obsesses over the fishes at work (his nursery) as well as his Uncle 'Eggs' fishes. And we felt a little guilty that he'd probably never have a pet (we're not really pet people and work full time) we did debate having a fish but we knew we didn't really have anywhere for it to fit in. So when I caught sight of one of these old school fish bubble lamps - I immediately remembered my sister having one (and the absolute mess it caused when she knocked it over) and I knew Noah would LOVE it. John thinks it's tacky, but I'm willing to compromise for this and he then has his own fishys. Last but certainly not last is his own little swing. We've finally got our garden sorted now we've moved so Noah will have his own little place to play and we want it to be a place he can enjoy. 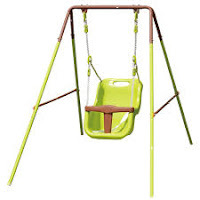 We actually picked up a swing in Wilko's for £10!!! Such a bargain, we just need to purchase a child seat to attach until he's old enough to go it alone. I know it may seem more of a summer thing, but if he can play at the park in winter, he can play in the garden. What presents do you think a 2 year old would enjoy?